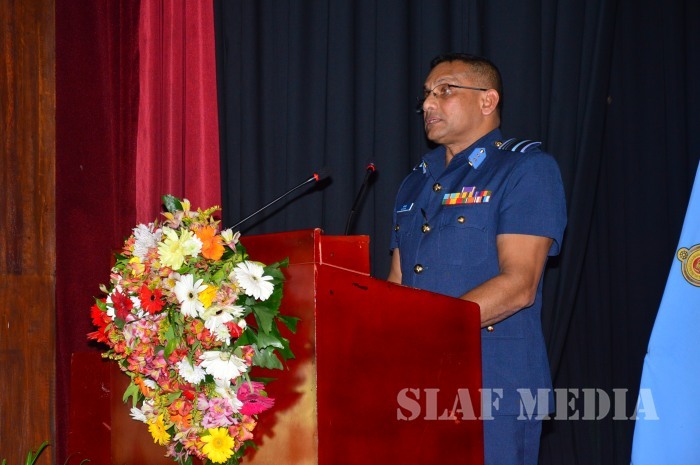 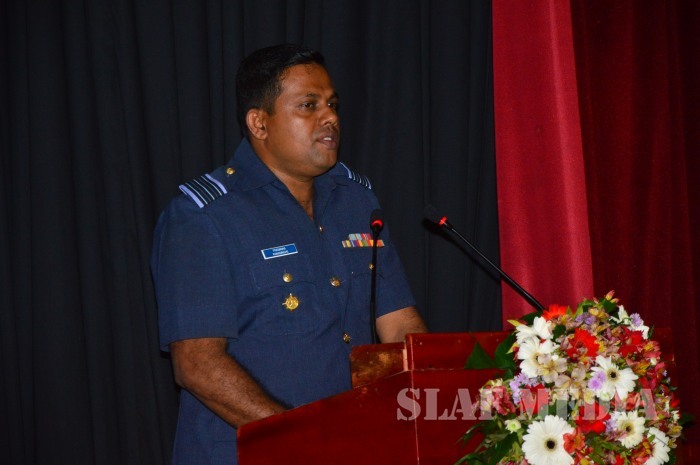 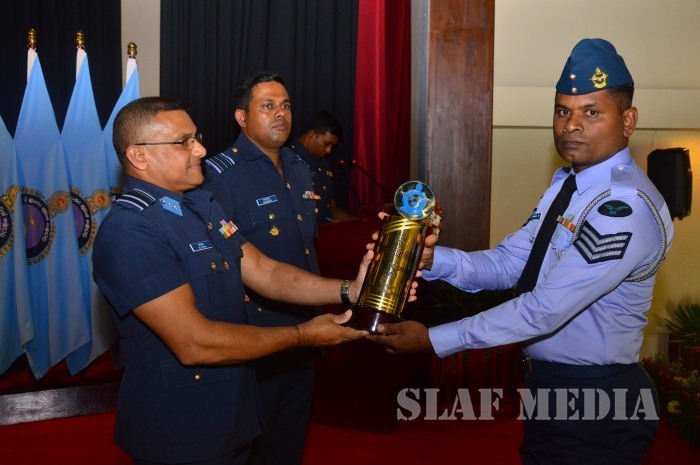 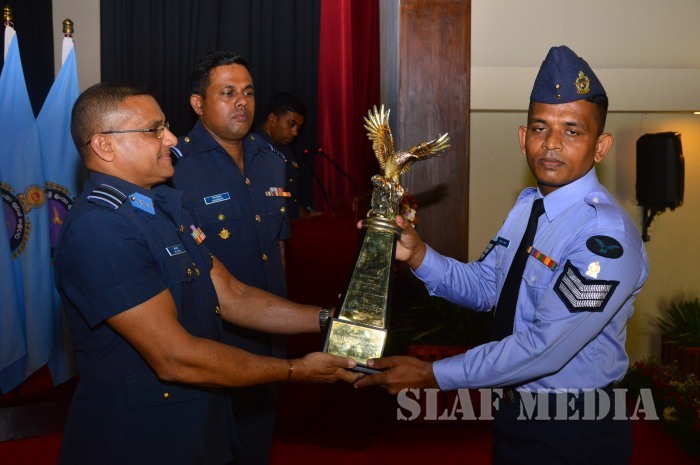 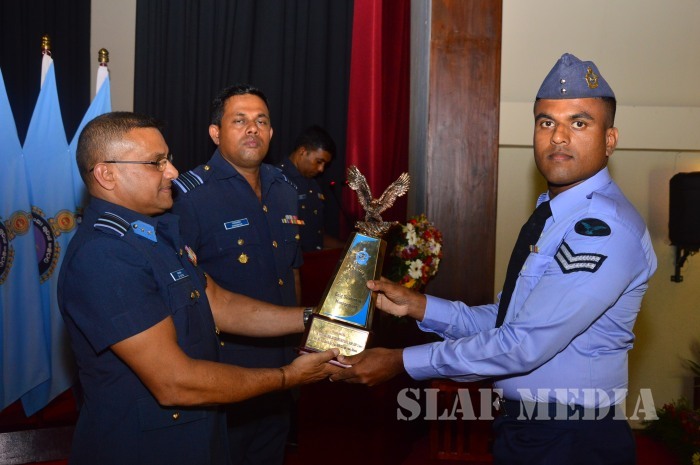 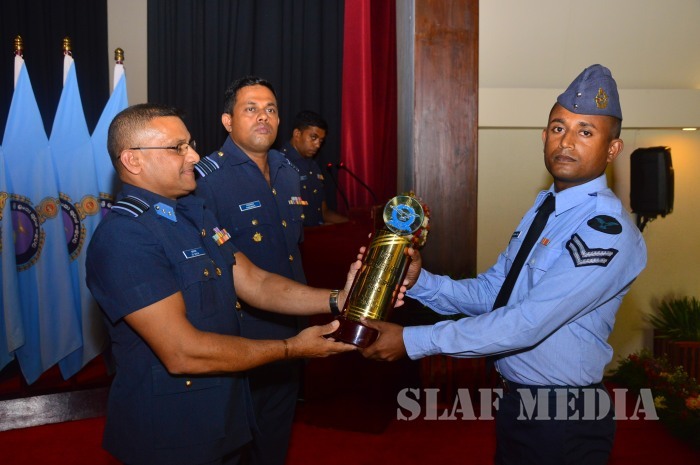 The NCO Management School of Sri Lanka Air Force Academy China Bay held its No.01 English Medium and No.72 Sinhala Medium Non Commissioned Officers’ Management Courses Award Ceremony today (22 December 2017) under the patronage of the Air Vice Marshal AM De Zoysa the Deputy Chief of Staff. 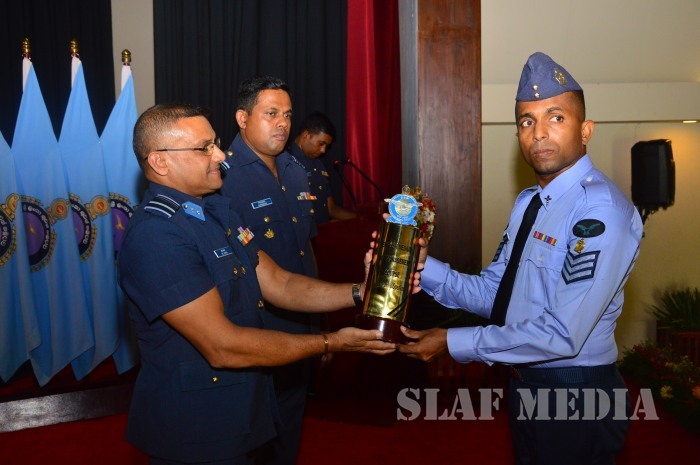 The primary objective of conducting this course is to transfer sound academic and managerial knowledge, while sharpening leadership qualities within the Non Commissioned Officers of the Tri-Forces. 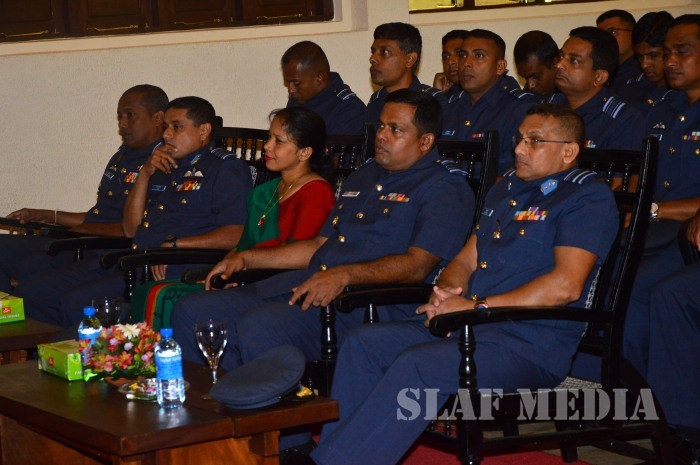 The course ran through a well-formed Syllabus over a scheduled period of 11 weeks. 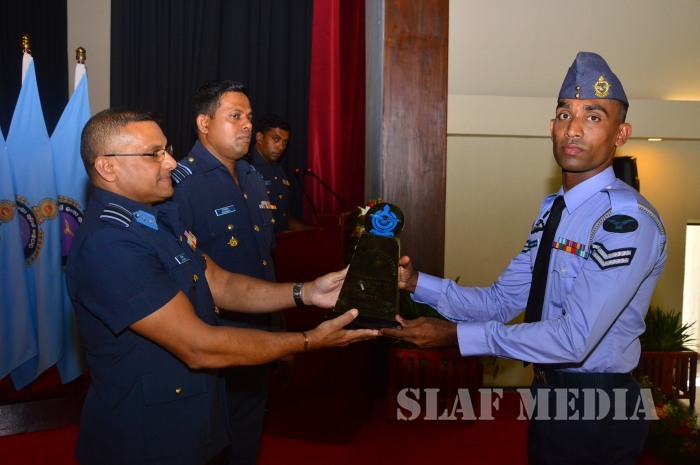 The comprehensive courses are affiliated to the University of Rajarata and all Non Commissioned Officers who fulfilled the required criteria were awarded with a Certificate in Management. 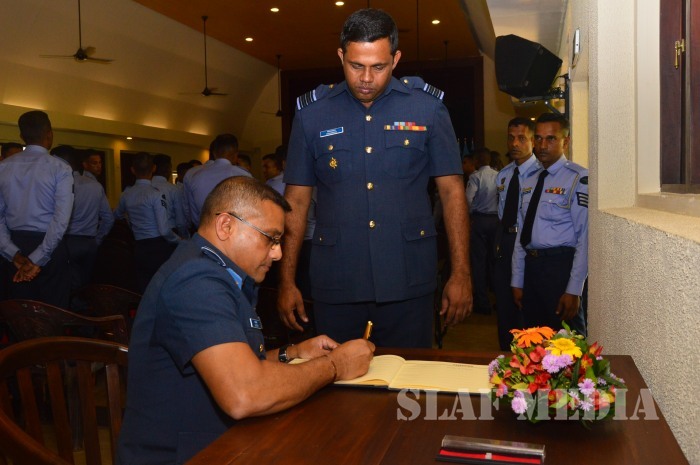 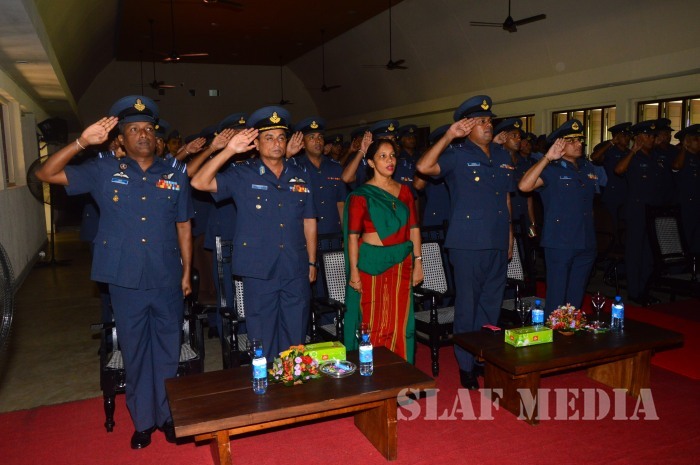 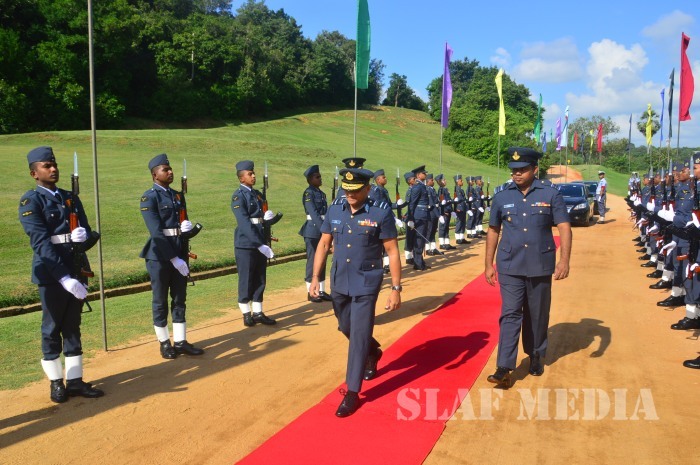 The No 01 English Medium and No 72 Sinhala Medium batches comprised of 39 Senior Non Commissioned Officers, 43 Junior Non Commissioned Officers of the SLAF, 02 Senior Non Commissioned Officers of the SL Army and 02 Senior Non Commissioned Officers of the SL Navy. 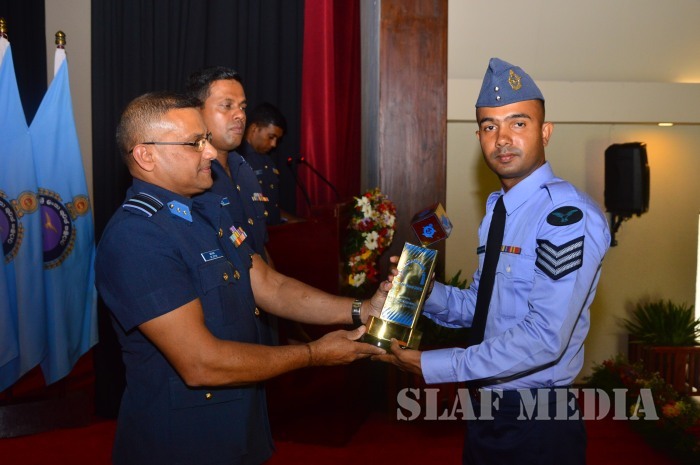 At the Ceremony 86 awardees received certificates to mark the successful completion of the course. 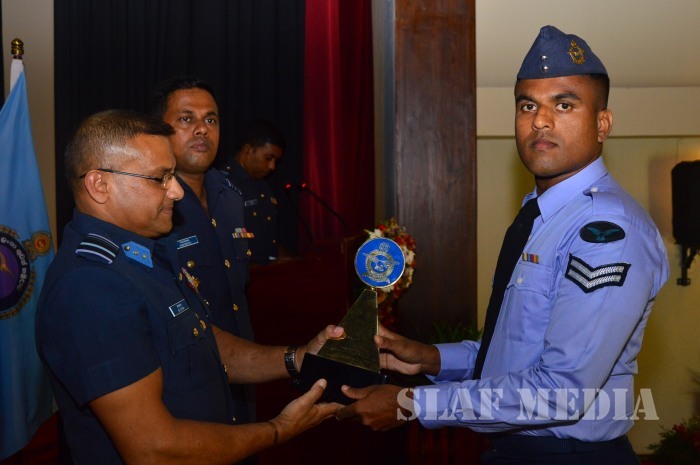 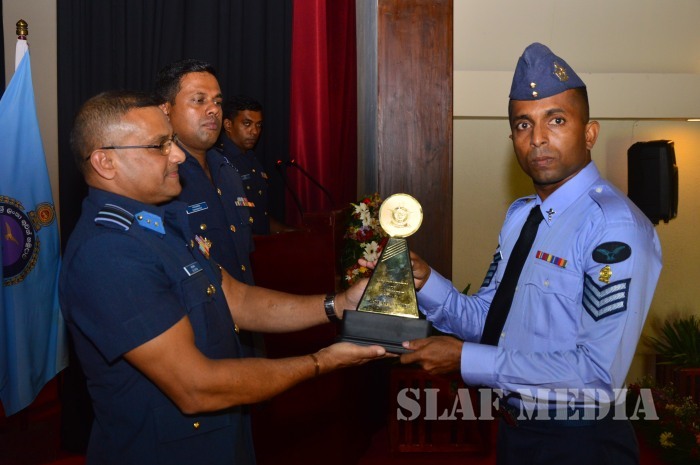 25490 F/Sgt Gunawardena GSSK (Optometrist) was placed as the Best All-Rounder of the No 01 English Medium Course and 29491 Sgt Subasinghe SMKGMLB (Admin Asst) was placed as the Best All- Round Senior Non Commissioned Officer, while 29819 Cpl Liyanage TS (Aero E & I) was placed as the Best All-Round Junior Non Commissioned Officer of the No 72 Sinhala Medium Course. 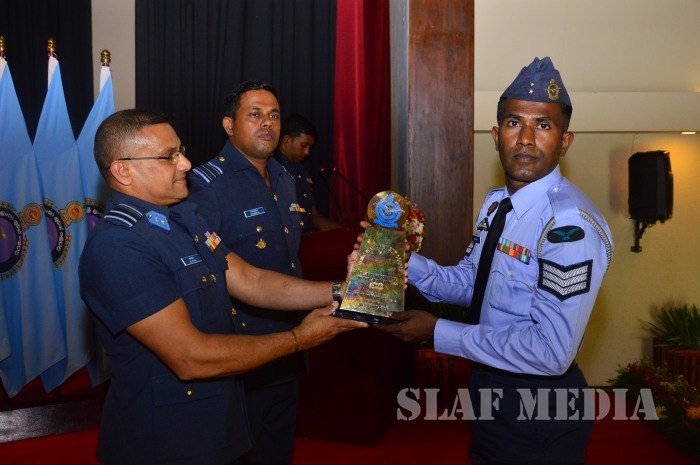 Other special award winners are as follows.